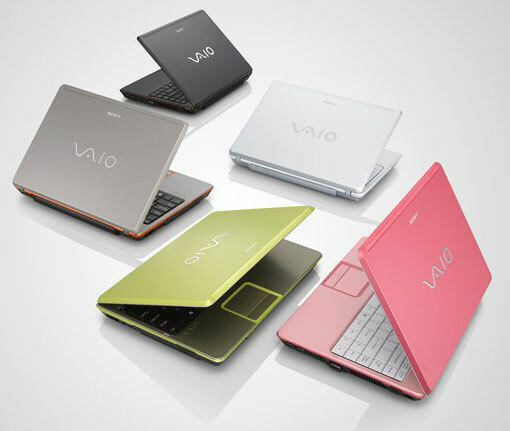 How about a Sony Core 2 Duo notebook in some fancy colors? That's what you can get with these Sony Vaio notebooks whose screens hit that sweet spot between a large 15-inch screen and a slightly-too-small 12-incher—13.3 inches—just right for using on a plane but not bumping up against the back of that seat in front of you. Sony's built in 802.11a/b/g wireless connectivity and a DVD burner, and the laptop is nice and light, too: at five pounds, and available in five colors. That makes five reasons why you might want one. Or not. The black and urban grey models will be available next month for $1350, those purdy colors will wait until November to make their debut.